Half-Off any Starbucks Refreshers Drink June 27-29, 3-5pm | ...and another cup of coffee. 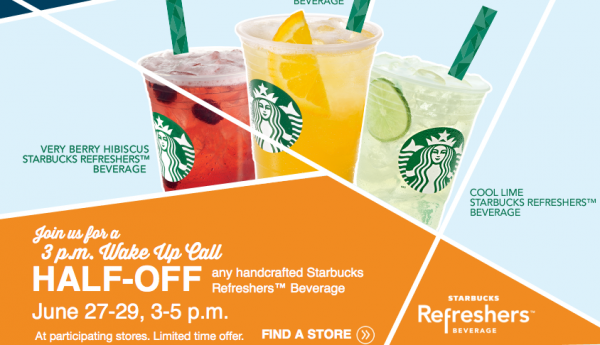 Stop by any Starbucks location from 3 to 5 p.m. on June 27-29, 2013, to get any refreshers drink half price. Yum!